Get down at Lockdown this September! But wait! 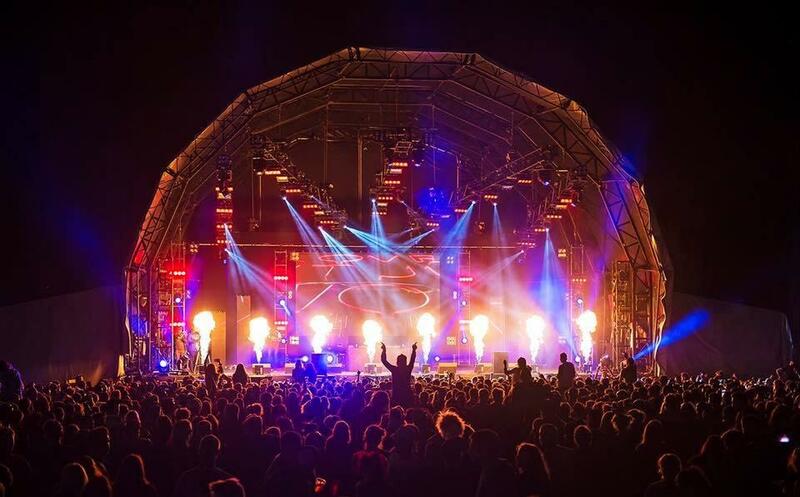 Don’t write yourself off just yet, as there’s still some great festivals and music events yet to take place, none of which are more worth a visit than the South-West’s biggest dance music festival: Lockdown. Taking place on the scenic grounds of Powderham Castle in Exeter, this three-day festival is well-renowned for serving up the best in national and international dance music alike, and this year is no exception. So, what better way to wave goodbye to summer once and for all than by topping it off at one of the biggest weekends of the year? Get ready to get down at Lockdown! The line-up at Lockdown this year is bigger and better than ever, with something to suit everyone’s musical taste buds (providing they like dance music, of course, and who doesn’t?!). Spread across several stages are the best DJs and artists that the dance genre has to offer, all bringing their own unique sound to the equally unique venue. Kicking things off on Friday night on the festival’s main stage are the likes of MC extraordinaire Wiley, drum and bass DJ Wilkinson whose set will feature dance artist Ad-Apt, BBC R1 DJ MistaJam, British Grime MC AJ Tracey and many, many more. Whether it’s dance, drum and bass or electronica that floats your boat, on the LTD Stage you can expect to be blown away by some incredible upcoming talent, like DnB act Sasasas and a set from DJ of over a decade; DJ Pressure who will take to the stage accompanied by fellow drum and bass musician MC Sye. On the House Worx Stage, witness first-hand the pioneering work of Lazy Shaun (who I suspect is not so lazy) whose incredible house/techno sets feature both vinyl and digitally mixed music, as well as the likes of techno du0 2Kind and loads more acts soon to break through into mainstream music (so take my advice; see them before they’ve rocketed to stardom and their tickets triple in price!). And last but by no means least is the somewhat comically named Jangle Stage, where you can expect to find a diverse collection of artists representing the likes of techno and garage, including names such as Kitchen Appliance Kru, Deviate, Fronta and Raeman. Saturday is arguably the piѐce de résistance of the weekend with headliners taking the shape of global superstars, perhaps the most highly anticipated of the lot being Fatboy Slim, whose legendary contributions to music combine to make some pretty explosive sets (anyone who doesn’t want to jump around uncoordinatedly to Eat, Sleep, Rave, Repeat or Right Here, Right Now simply cannot be trusted). Other artists headlining on the Main Stage on Saturday include London born rapper Giggs, everyone’s favourite drum and bass duo Sigma, electronic duo Gorgon City, grime MC Big Narstie, deep house all-rounder Jax Jones and the infamous pairing of Example & DJ Wire, whose collaborative sets continue to blow minds across the globe. If that line-up doesn’t knock your socks off I honestly don’t know what will! On the Garage Nation Stage (which is sure to go OFF if the clubbing/music brand’s very own festival is anything to go by) you can unsurprisingly expect to find the pick of the bunch of garage music, including none other than garage/grime trio Heartless Crew, DJ and MC garage duo Oxide & Neutrino, electronic duo Wide Boys and many more. Meanwhile, on the UKF Presenting Stage, you can catch performances from jungle/DnB group My Nu Leng and the ever-amazing Redlight (his songs just never get old). What a day! You might have thought that Sunday was the day of rest, but not at Lockdown! They’re making sure that the weekend goes out with a bang with even more huge headliners and supporting acts to round off your weekend. The Main Stage is sure to provide a party like no other when Dizzee Rascal takes to the stage, and things will only get better with performances from Chase & Status, Kurupt FM, TQD, Lady Leshuur, Sam Whitmore and J. Maddison. If you have any energy left in you come Sunday after a heavy few days of partying (and props to you if you do) then why not head over to the Hatcha and Friends stage, to catch performances from the likes of dubstep legend DJ Hatcha (obvs), the man of many genres DJ Zinc and dubstep/drum and bass producer Funtcase (careful how you say that one!). The Playaz Stage is home to all things drum and bass with hints of jungle and electro thrown in for good measure, and will feature a back to back set from DnB DJs Hype and Hazard, jungle MC Congo Natty and yet another drum and bass legend Sub Zero, while the Fusion Stage is the place to be for house music fans: head here for performances from Basement Jaxx, dance DJ Sam Divine and Breach. This summer’s festival scene may be coming to end, but the best has definitely been saved till last! Lockdown Festival runs from 1st-3rd September, and tickets are still available but running out fast, so head to http://www.lockdownfestival.co m/tickets/ to grab yours now! See you at the castle!